Last week Google have announced of rolling out the latest version of its mobile operating system - Android 5.1, and now here is something un-noticed, unexpected which is already in Android 5.1 . 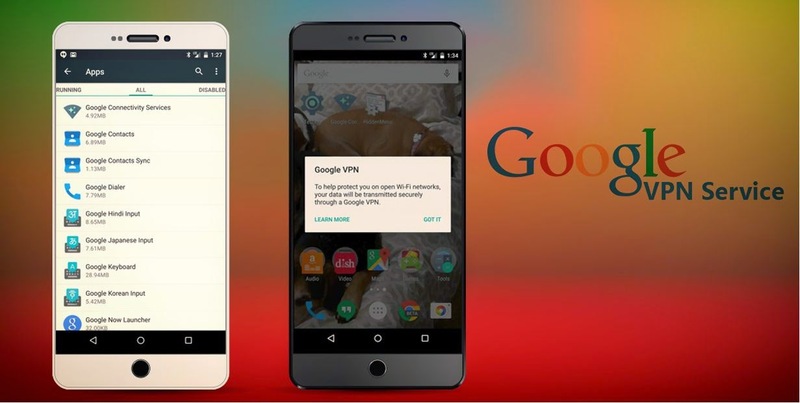 Android 5.1 came up with the built-in Virtual Private Network (VPN) service. Google have not says anything on is Virtual Network Service, but this concerns with the privacy of users as having a VPN will keep a user's device secure even if they are accessing public Wi-Fi. The features was first noticed by the Pocketables were the service was named as "Google Connectivity Services" on a Nexus 6 that was running the latest Android 5.1 Lollipop update. Hope this features also come up other device too. To locate the app, a user simply needs to navigate to Settings > Apps and scroll to the same, which occupies 4.92MB. However, Google Connectivity Services is only viewable on the list. Pocketables recommends a few tricks. Once launched, the user will see the pop-up "Google VPN." This pop-up reads: "To help protect you on open Wi-Fi networks, your data will be transmitted securely through a Google VPN." The pop-up has the "learn more" and "got it" options. However, since Google VPN feature is currently not in a functional state, you get redirected to a support page from Google if you click on "learn more" option, and if you click on the "got it" you are taken to the regular VPN connection request window, where you are asked if you would like the Wi-Fi assistant to set-up a VPN connection "that allows it to monitor network traffic." May Google is testing its VPN service and that too also in its own Nexus device. If this feature goes live then this will be the another great step for the users security, as VPN allows the secure data transmission between the unsecure WiFi connections. What your views on this VPN service form Google? Will you mark it Good or anything else ??? We like to hear your thought.